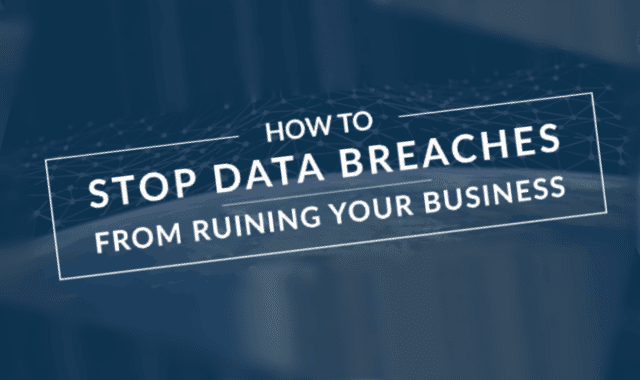 How to Stop Data Breaches from Ruining Your Business #Infographic ~ Visualistan '+g+"
Data breaches make the news a lot because they happen a lot and they can be very expensive to clean up. More than half- 63%- of all data breaches can be traced back to third party vendors. The Target data breach in 2015, which cost over $39 million, was traced back to malware on printers. Regardless of the source, Target footed the bill. The onus is on business owners to clean up data breaches no matter the source, so ensuring you use a reputable third party vendor is crucial. Even if you are hiring a mass mailing company to send out postcards for your business there are laws dictating how that is handled and you are the responsible party should those laws be ignored. Compliance is your company's responsibility. Learn more about what to look for in order to prevent a data breach destroying your company’s reputation from this infographic!